Minneapolis was the musical marinating grounds for Craig Finn, a man who went on to form what many critics describe as “The Best Bar Band in America,” The Hold Steady. The Twin Cities is also the home of Twin Six, which just may make the best T-shirts to ride to the bar in. 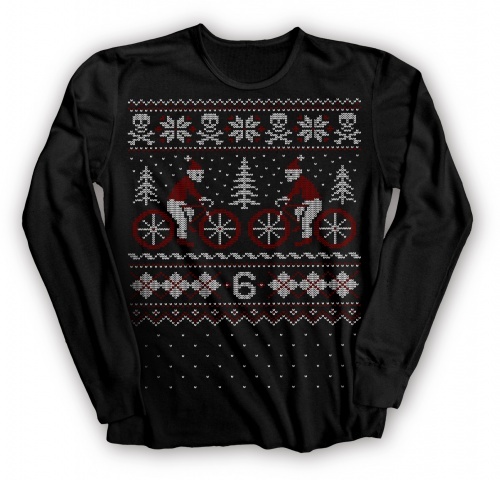 And if you’re going to ride, why not arrive in an awesome, limited edition T? Introducing Twin Six’s T-shirt of the month club, whose design for December goes on sale Sunday, December 6, at 9:00am Central Standard Time. If you want one, don’t dilly dally. Twin Six only prints between 100 and 150 shirts, and once they’re gone, they’re gone. The company usually sells out in a few hours. Which begs a question: Why not print some more? With winter on the horizon, the December T isn’t a T at all. 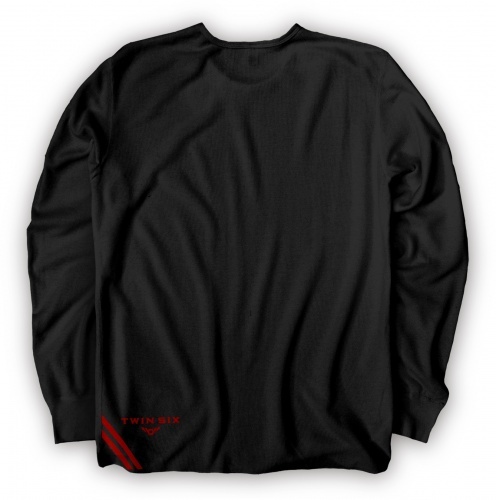 It’s a long-sleeve thermal and it costs $27. A pauper’s price to look almost as stylish as a non-purple wearing Prince. Or at least a non-schluby Replacement. —When Stephen Krcmar pedals to the bar in Mammoth Lakes, Calif., it’s with fingers crossed in hopes of finding The Hold Steady on the jukebox. next:What’s Your Ski Patrol Name?